MacWrite on a Macintosh 128K (1985) — Now this is where I was trying to be, using MultiScribe on the //c. I finally got a Macintosh, and it came with MacWrite and MacPaint. I never did any real word processing on the Mac, however, because a week after getting it I saw an Amiga 1000 on display at the local computer shop, returned the Mac, and put an order in for the Amiga. I never even had a printer hooked to that Mac! In the early ’90s I bought a Macintosh LC and used a much later version of MacWrite on that machine during part of college. I even made some money doing page layout for students with that LC, MacWrite, and my StyleWriter printer. 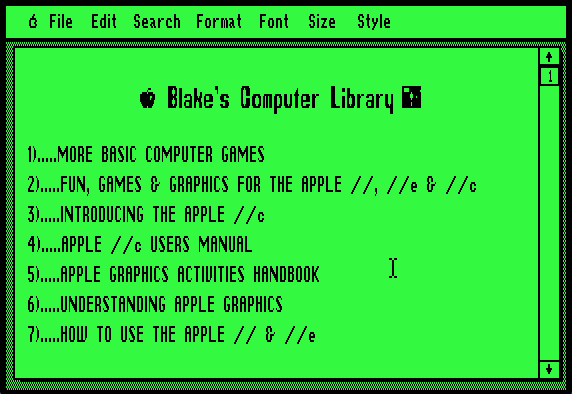 AppleWorks on the enhanced Apple IIe (1986) — What an odd move! I sold my Amiga and went back to the Apple II! It was Apple Garamond that made me do it. 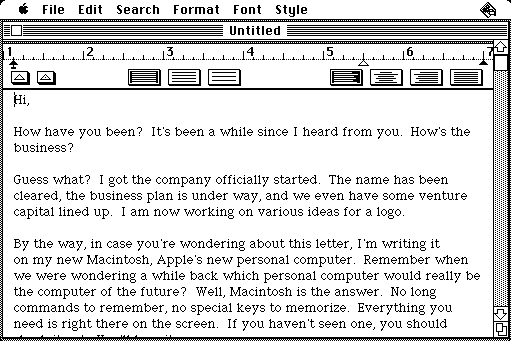 At any rate, Apple’s integrated word processor, database, and spreadsheet suite was the thing to use at this point. We used AppleWorks in school and it was a surprisingly rich little package with a number of expansion tools made available by third parties. I used Pinpoint, I recall. I had an Apple ImageWriter II printer as part of this setup. Word Writer ST on the Atari 520ST (1987) — The most popular word processor for the Atari ST was Atari’s own 1st Word, but it felt quite basic to me, so I went with Timeworks’ Word Writer ST, which is the first word processor I ever used that came with an integrated spell checker. 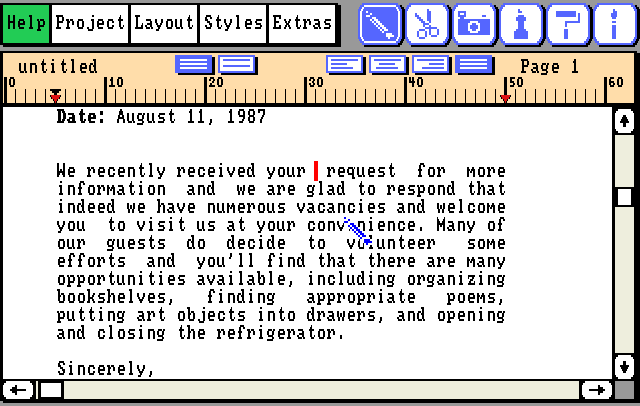 Like 1st Word, Word Writer ST utilized the windowed GEM user interface of the Atari ST, though it was not a multi-font, WYSIWYG editor. I used an Epson LX-800 and an Okimate 20 printer with this setup. DeskMate on the Tandy 1000TL (1989) — DeskMate was Tandy’s own bundled app suite that came with every Tandy PC-compatible. 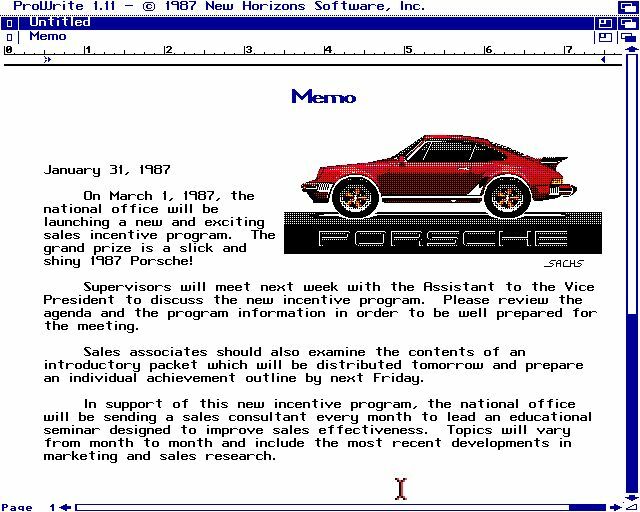 It featured a spreadsheet, database, calendar, and word processor, with later versions seeing the inclusion of audio and drawing modules. 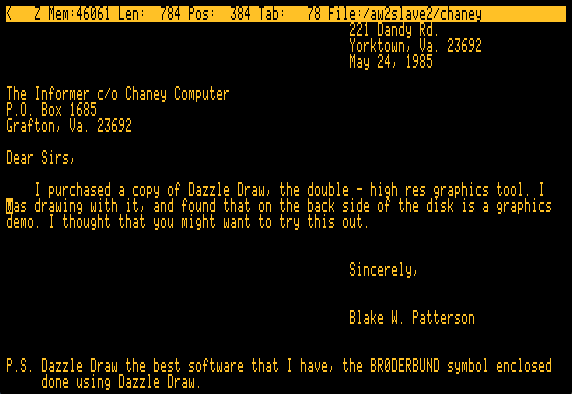 It worked fine, but all parts were rather basic and I never liked the overall feel of the thing; it was rendered in a graphics mode but looked like nothing more than some kind of enhanced ANSI text. Still, while I was driving the 1000TL I used DeskMate‘s word processor to get things written. ProWrite on the Amiga 2000 (1989) — ProWrite was the WYSIWYG word processor of choice for the AmigaDOS 1.3-era Amigas. I used this on my Amiga 2000 at the end of high school and in early college, and really put it through its paces. This is the first setup where I experienced something akin to today’s web distraction; I’d be working on a paper and then switch over to browsing dialup BBS forums and back again. I printed documents on an Epson LX-800 dot-matrix printer. 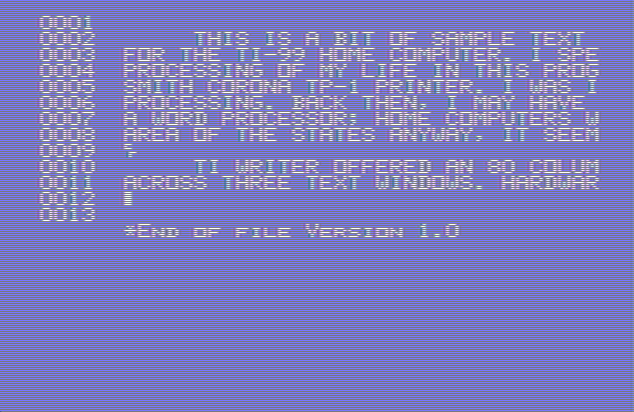 Final Copy II on the Amiga 1200HD (1993) — One of the nicest word processors for AmigaDOS 2.x era Amigas was SoftWood‘s Final Copy II. It had a very clean interface, was fairly feature rich, and was responsive to use on standard config hardware. 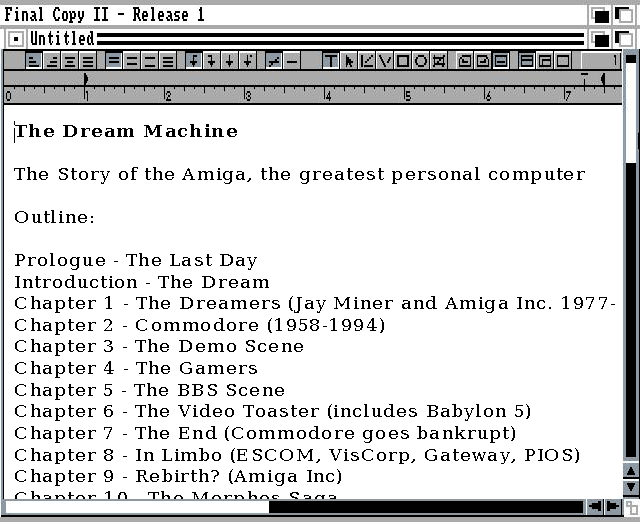 Final Copy II supported both the standard Amiga Compugraphic outline fonts as well as PostScript Type 1 fonts. I printed out my work on the excellent Epson Action Printer 3250 24-pin printer. 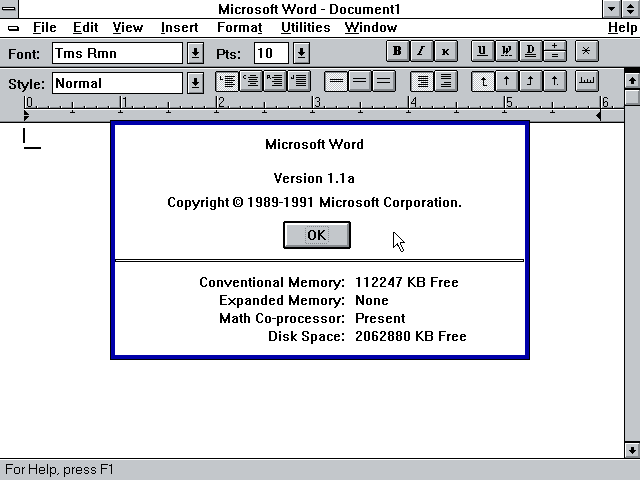 Microsoft Word for Windows on the 486 66 PC (1994) — And, of course, we come to this. Microsoft Word. I ran this on my eCesys 486 66 PC under Windows 3.1 as well as under Windows 95. Later, I ran it on my Macs from the Power Macintosh G3 up through my current iMac desktop, and on my work PC and MacBook Pro at the office. I don’t do much word processing these days, but when I do it’s usually in Word. The days of competing word processors really ended after Word had been on the market for a few years. I’ve not listed every word processor I’ve ever used on the various systems I’ve owned over the years, but these are the ones that stand out the most. As mentioned above, when I do have a need to use a word processor, I typically use Word. I own Pages for OS X and use it here and there, but really my processing of words mostly involves code and code editors like PHPStorm and Sublime Text. My 10-year-old daughter started using a word processor three years younger than I did, and it’s not even a traditionally executing application; she uses Google Docs on her Chromebook, as per her school. The area of computing that is word processing used to be quite an eclectic field, and I suppose that makes sense given that the early era of home computing was, in most ways, exactly that. Today we have a narrow spectrum of both computing platforms and word processors. They are all feature rich and (more or less) stable, but the field is less interesting, less exciting overall. Ah, but for the days when word processing was an adventure. This entry was posted in Multi-Platform and tagged ASCII, documents, editor, page, text, typing, work. Bookmark the permalink. Awesome list! 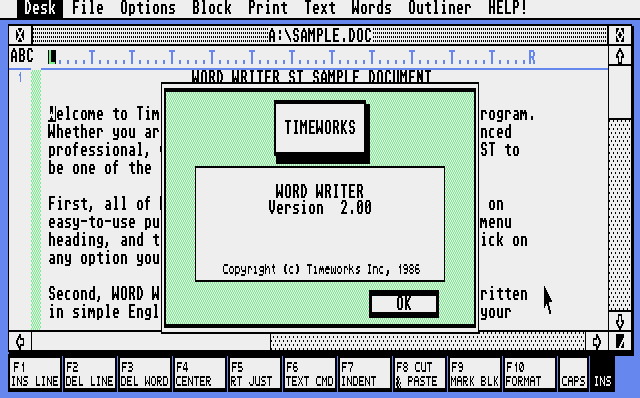 I also remember Wordstar on the Osborne I and the DecMate I word processor! For me it was VIP Writer III on the CoCo 3 that carried me over college, all my previous hardcopy jobs were done on a tried and true typewriter and the then fledgling Word Perfect on a IBM PC at the school’s lab. One develops an attachment to one WP system and VIP stuck with me even as I started my professional life. The later part of school had me using Max-10 on the CC3, one hell of a WYSIWYG WP for the platform. In 2013, somebody spoke of difficulties printing a document properly. On following up, I found that she was using WordPerfect; she did not care for my suggestion that she import her document into Word. This would have thrown off the alignment of a table, I think, not that the table printed quite properly as it was. 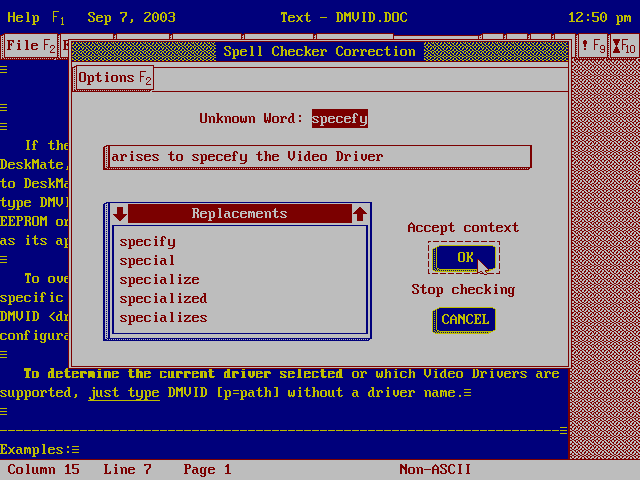 I suspect that if I went through the organization inquiring closely, I could find a handful of lawyers and legal secretaries still using WordPerfect. It was, I recall, WordPerfect’s footnoting that made the legal world love it. For retro word processing, mostly used Word Perfect on the Atari ST.
My favorite old word processor was WriteNow 4.0 for Macintosh. I also used MS Word 5.0 and MacWrite.